sample: Smash and Teeny with visuals by Additv. Live electro-acoustic audio/visual improvisation derived from bees and other insects. "The duo mix tidal undulations of tone with the ability to pick out sharp flecks of texture in complex aural environments." "Sounds seem to blossom effortlessly out of the electrified instruments and the Mac patches as it meditated into presence, but this is not insipid music. There is a poise and tautness and silveriness to its glide that comes perhaps from the terseness of Japanese ritual music. But the temple is also bent into hallucinatory four dimensional shape, the clarity strung out in tones that wobble, drift, twang and scintillate." Smash and Teeny expand the frontiers of improvisation and sound art through their innovative use of electroacoustics, prepared electric guitar, everyday widgets, and the sublime, illusive tones of the shô. One of "Canada's more original musical voices" (Eye Weekly), they create a musical expression rich in timbre, lyricism and subtlety. In his unusual approach to the guitar, Nilan Perera utilizes preparations of assorted paraphernalia such as swizzle sticks, paper clips, metal brushes and the like, as well as feedback and a variety of electronic effects. His explorations of sound infuse timbre, melodic gesture and cyclic contour with reminiscences of the blues, Hendrix, Partch, Sri Lankan folk music and beyond, drawing on his activities as avant-jazz guitarist, sound explorer and composer. Sarah Peebles integrates sounds she has gathered from natural habitats and cityscapes in North America and Japan into her improvisations. She gathers and alters her own sounds on the fly, which run the gamut from dust pans, modulated railway sounds and snow, to hummingbirds, ignited vapors and cicadas. She also draws upon the sustained tones of the shô, the Japanese mouth-organ noted for its unique timbre and tendency to 'throw' sound in unexpected ways. Perera and Peebles have worked together as the duo "Smash and Teeny" since 1991 and with the Toronto-based trio "Cinnamon Sphere" (with Chung Gong Ha, calligrapher) since 1995, performing and recording in Europe, Canada, the U.S. and Japan, and collaborating with such exceptional artists as John Butcher, David Toop, Jin Hi Kim, Evan Parker, Kô Ishikawa, Darren Copeland, Sumihisa Arima, and Tomomi Adachi. Venues have included the CCA (Glasgow), the ICA and BBC3 (London), Paradox (Netherlands), Music Gallery (Toronto), Kobe International Festival of Modern Music (Japan), The Outpost (New Mexico) and Société des Arts Technologiques (SAT, Montréal). Their new double-CD, "Gathering", with guest John Butcher, is out on Spool (May, 2004). 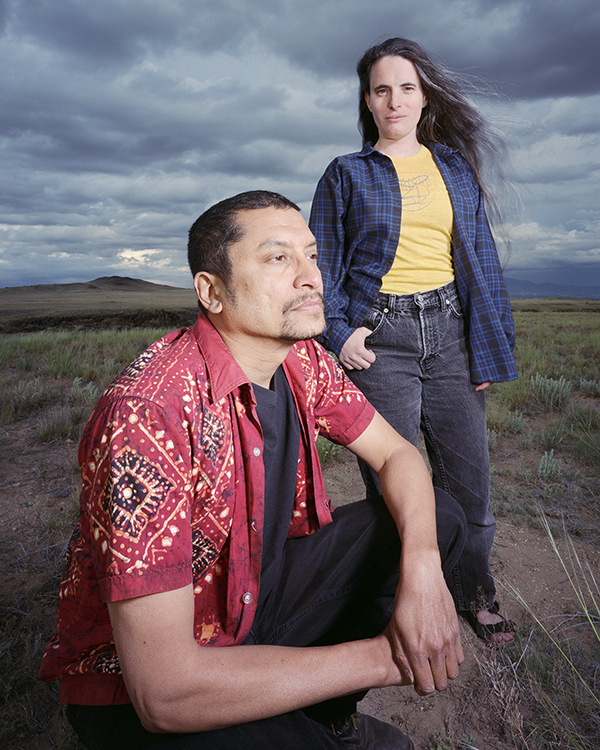 In addition to their 2003 European tour (see above link for venues and schedule), Smash and Teeny have performed at the Kobe International Festival of Modern Music, Space Alta, Plan B (Yokohama, Tokyo), The Outpost (Albuquerque, NM) and Strange Attractors Festival (MN). 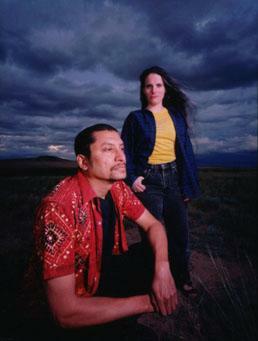 Their first recording together (as Cinnamon Sphere), "Hover", received exceptional praise from The Wire (March, 2001; full review at http://www.sarahpeebles.net/reviews), and their music, available on CD and video, is fully catalogued under the Recordings and Cinnamon Sphere sections of this site. 3 exceptional exerpts from our performance at The Oupost, Albuquerque, NM (May, 2001). CDR available upon request (exerpts from The Outpost and The Now Lounge, Toronto). "The music is startling, always absorbing. The mixing of environmental and electronic sound is really potent." "Initially something like elevator music for Malaysian skyscrapers... This is beautifully rendered electroacoustic music, as the natural tones are manipulated sensitively and the sound and image emerge from the same conditions. This constitutes the most unique and fascinating show we saw all year." "I like the deep archaic sound climate very much, the fine resolution, the langsamkeit, which is not slow speed alone, the same time reduced, or simple, but complex perception"
"It made the Toronto airport a lot cooler "
Nilan Perera is a sonic explorer, improviser and composer whose work expands the language and techniques of experimental electric guitar performance. In his unusual approach to the guitar, Perera utilizes preparations of assorted paraphernalia such as swizzle sticks, paper clips, metal brushes and the like, as well as feedback and a variety of electronic effects. His explorations of sound infuse timbre, melodic gesture and cyclic contour with reminiscences of the blues, Hendrix, Partch, Sri Lankan folk and other musics, drawing on his activities as avant-jazz guitarist, sound explorer and composer. Perera has been involved in some of the most forward looking,influential and radical ensembles of the past 19 years in Canada, including NOMA, Bill Grove's Not King Fudge, Handslang and the Excalceolators, and he is currently a member of trip-hop group Lal prepared guitar trio Ferrobaci (with Reiner- Wiens and Bill Parsons), Susanna Hood's hum dansoundart and radio art duo FaMished AMerica (w/Susanna Hood). In addition to performing and composing as a soloist on guitar, Perera has performed and recorded with John Oswald, Michael Ondaatje, Glen Hall, Mary Margaret O'Hara, and many others, and he is featured on several recordings. Sarah Peebles integrates sounds she has gathered from natural habitats and cityscapes in North America and Japan into her improvisations and sound works. Her electroacoustic performances focus heavily on sampled sounds which are called forth and manipulated on the fly, using a Macintosh computer using Max programming with internal sampling programmes. She gathers and alters her own sounds which run the gamut from dust pans, home-made reeds and bullroarers, to hummingbirds, ignited vapors, cicadas and water and also draws upon the sustained tones of the shô, the Japanese mouth-organ noted for its unique timbre and tendency to 'throw' sound in unexpected ways. Uniting her music with diverse arts, she has collaborated with David Toop, Evan Parker, Takashi Harada and Suzanne Binet-Audet, Peter Chin, and Rene Highway, among others. Her work has been presented at The Kitchen, Roulette Intermedium (NYC), Sound Travels (multi-channel diffusion/Canada, Europe), Studio Kinshicho (Tokyo), The Listening Room (ABC Radio), Gesé, SuperMicMac (Montréal), L'espace du Son, Le Navire 'Night' (Radio-Canada), and the Music Gallery (Toronto), and has been broadcast in Canada, the U.S., Japan, Australia and Europe. Peebles' releases "Suspended in Amber" (innova Record-ings) and "Insect Groove" (Studio Excelo) have received wide acclaim from The Wire, Leonardo Music Journal and MusicWorks. Protest CD | Reviews | Notable Projects | Contact the Artist at sarahpeebles@gmail.com | Resources | What's New?